I have been a little absent from my blog this past year...so I have decided to start a fresh with a new journal and seeing as it is now spring I thought now would be as good a time as ever. I will be using my journal to keep you updated on new products, new stockists, exhibitions, news and a few special offers. Please leave me comments and feedback...I would love to hear from you. 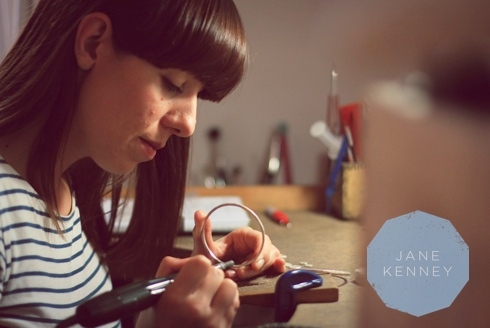 British Craft Trade Fair 2014- one week on! During BCTF I was lucky enough to be invited to display my work in a few new galleries and to show my work in several upcoming exhibitions...more info on my website soon. Tomorrow evening I will be heading up North to the lovely Harrogate to take part in the British Craft Trade Fair held in the Great Yorkshire Showground. This is my second year attending BCTF and I'm looking forward to getting there and setting up, the show has always been a great opportunity to meet lots of new makers, see new work and to hear fresh feedback on my work. The show opens on Sunday at 10am until 6pm and will be open on Monday and Tuesday 10am until 6pm. There will be lots of lovely work to see so please pop along and say hello...I'm on stand 260! If you are not already aware of The Do Blog...you should be! It is a beautiful and inspiring blog, celebrating people who are...well...doing! People who are getting off their bums and doing things..creative things, exciting things, unusual things, all kinds of things! The Do Blog recently featured a piece on my other (better) half Gavin Strange, composed and written by Stephanie Lynn, the blog accurately captured Gav's genuine character, contagious enthusiasm and hard work ethic! As a fan of the blog already, I was then honoured to have my work and website featured in their Wanderlust section. Many, many thanks to The Do Blog team and to Stephanie...you have made my day! Thank you Yorkshire Sculpture Park! I want to say a big thank you to all of the staff at the Yorkshire Sculpture Park for looking after my work so well during their MADE Jewellery Showcase, which took place throughout September and October. It is always an honour to be invited to take part in an exhibition and as a huge fan of the YSP I was thrilled to be able to participate in their jewellery showcase. I have been delighted to hear how well my work has been received and I would like to say a huge thank you to all of YSP's customers who bought a piece of work, I hope you enjoy wearing your new piece of jewellery as much as I enjoyed making it. We've been working hard to create a site that showcases and represents my work effectively, and I'm so happy to finally be able to show you all what we've made. I am very proud and excited and I hope you like it as much as we do. I would love to hear your thoughts on the new site, so grab a cuppa, have a look around and let me know what you think. I am also very excited to announce that as part of my new site, I am launching an online shop. To celebrate this launch I am offering a 20% discount. To claim your discount, just type LAUNCH20 in to the promo code section at the checkout. On this blog I will keep you updated on new pieces of work, current commissions, new stockists, exhibitions and any daily inspirations and thoughts that I think you might like to hear about. You can also keep in touch via my instagram account, my twitter feed and my facebook business page. A huge thank you to Gavin Strange/ Jamfactory for creating such a lovely site for me and my work.